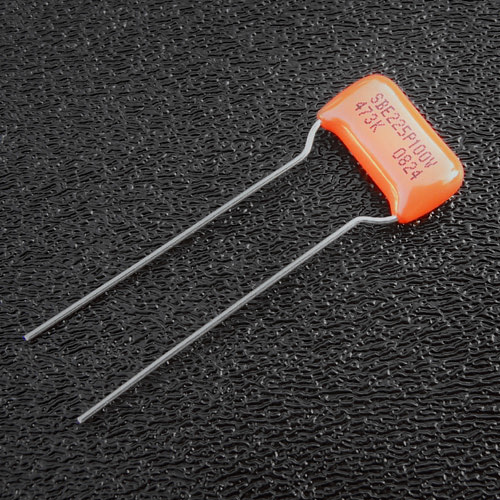 Polyester Film/Foil Series 225 Orange Drop Tone Capacitor. "Orange Drop" tone capacitors for guitar and bass tone circuits. Known for the best in tone, these make a great upgrade over standard capacitors.